MOUNTAIN VIEW, Calif.--(BUSINESS WIRE)--Bidgely continues to expand its disaggregation platform and Artificial Intelligence business for global utilities by establishing a new European presence based in the Netherlands. The new entity will help streamline scaling the Bidgely team to best serve customers in the region. This expansion comes shortly after Bidgely closed a $27M Series C round of financing, which includes funding from European utilities like innogy and was led by Georgian Partners. “We are reinforcing our presence in Europe in response to the surging demand we are experiencing across the region for our AI services. The new business unit will make the expansion of our European team more efficient, meaning our customers in the E.U. will enjoy an additional layer of localized support from Bidgely,” said Prateek Chakravarty, head of global sales for Bidgely. Bidgely also announces it is on track with General Data Protection Regulation (GDPR) compliance, which takes effect in May 2018 across the European Union. Bidgely solutions will comply with all the privacy requirements under the new regulation, and the company will collaborate with utilities to ensure compliance is met as they evolve how they manage and protect customer data into the future. Utilizing robust data security measures, Bidgely’s machine learning algorithms analyze utility customer data from both smart and non-smart meters to break down home energy usage by appliance. 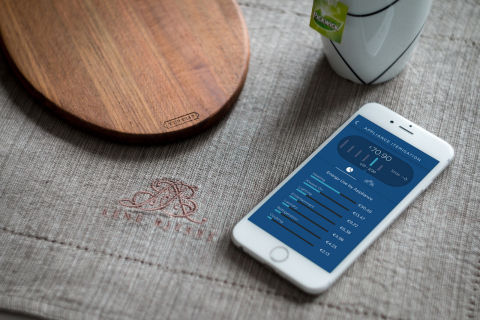 European consumers can receive an itemized energy bill and integrate home energy usage information directly into their smart home devices, helping to attract new customers for utilities offering Bidgely solutions. Understanding how customers use energy also reduces utilities’ business costs by expediting high bill calls or eliminating them all together, while also allowing them to pinpoint and personalize program offerings to generate new revenue.